Ninja Theory's Nina Kristensen tells us about Andy Serkis's part in Heavenly Sword and the future of the game at SCE. Kikizo: Bohan looks a bit like Serkis. Kristensen: He does. As soon as we knew Andrew was coming on board, we immediately reworked the king to match Andy's face a little, which is particularly good for the motion capture, because the closer the characters are to the people, the more easily the mo-cap will translate. Kikizo: Is the huge character, Roach, played by Serkis too? Kristensen: No, he's played by Richard Riding. He's Bohan's illegitimate son, and they've got a problematic relationship, if you like. Bohan actually hates his son, he despises him. He's a big buffoon, not very smart. The king's very smart and he doesn't like that his son's not. Poor old Roach. All he wants to do is please his father and he has a really hard time doing it. So it's a really nice dynamic there. Kikizo: What would you say has been the most important element to make sure you get right in terms of combat? Kristensen: The most important thing in the combat is understanding the stance system. There are three different stances and each stance is particularly good at one or another thing. Each of the enemies employs stances as they come to attack you. So, for example, the blocking system is based on the stances. If someone comes to attack you in speed stance, there will be a blue indication in their attack. If you're in speed stance, you'll automatically block as long as you're not vulnerable at the time. When you see a yellow attack that means it's a power attack coming through and you need to be in power stance and you'll automatically block, but if you're in any other stance you're going to get hit. So you need to understand that so that you can take on enemies in the best possible ways, and it also allows you to stance switch so you can do stuff like push them back with a ranged attack and then big combo switch to a power finisher. So the stance is absolutely crucial. Kikizo: There was talk of the game coming to the Xbox before Sony picked it up. Can you comment on the possibility of the game coming to another platform? Kristensen: Heavenly Sword is exclusive to Sony. Certainly at Ninja Theory we'd like to go ahead and make a sequel with them, but that hasn't been announced as yet. Kikizo: How would you describe the support you've got from Sony? Kristensen: It's really good actually. There are a couple different things in that. Certainly being first-party to Sony means that we get the opportunity to be very close to their technical people that have got a lot of expertise with the hardware. We get access to all sorts of good things. In terms of positioning the game in the marketplace, Sony's been great. There's a lot of marketing support behind the game and that's something we're really pleased about. 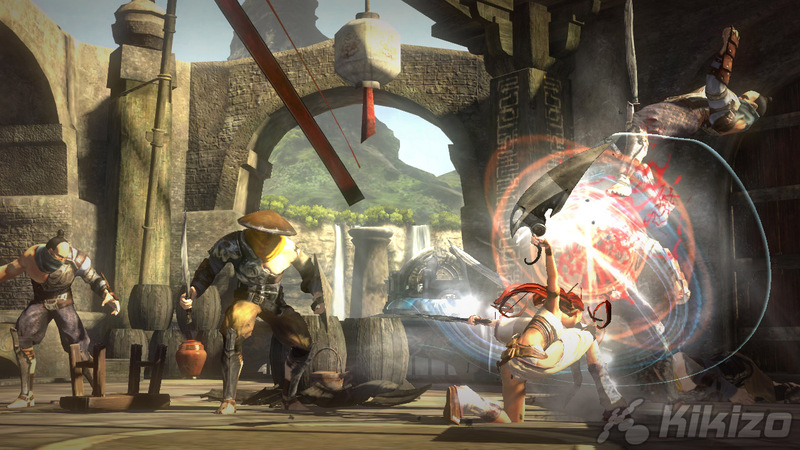 Kikizo: Apart from a possible sequel for Heavenly Sword, is there anything else you have planned? 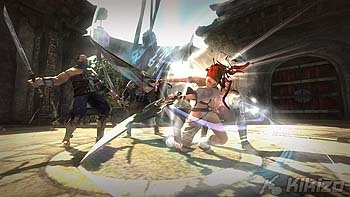 Heavenly Sword will be out for the PlayStation 3 on 14 September. Look for our full review later this week.